School is over, and the weather is ideal for being outside. There are so many exciting things for you and your family to enjoy out of doors that it’s going to be hard to choose where to start! For Celadon families, outdoor activities are an everyday part of their lives. The community’s carefully preserved open green spaces and parkland with trails throughout invite the exploration of nature to look for birds and other wildlife. The Celadon Club Junior Olympic-size pool is a favorite gathering spot for members, their children, and grandchildren offering attractively priced summer memberships that include 24-hour gym access, all group classes, kid’s summer camp discounts, spa discounts, and more. These are on first come first serve basis until June 15, or until they are all sold. Call the Club at 1-843-379-1088 for information. Two summer camps at Celadon – Camp Play for ages 5-11 from July 23-17 and Camp Create for ages 7-11 from August 6-10. These camps are popular and fill up quickly – call the Club at 1-843-379-1088 for more information. The Celadon Race Team is all in for the Dragon Boat Beaufort Race Day event on June 23rd. Even if you don’t want to paddle, you can still support the fundraiser and cheer for your favorite team. Birding is fun and educational. The Celadon community’s enthusiasm for the Eastern Bluebird Project is a pretty good indicator of how much we love our wildlife. Children enjoy birds too, so getting them interested in locating different species could be fun. The Lowcountry coastal marshes are teeming with over 300 species of birds – there’s always something to see. All you’ll need is a field guide, a pair of binoculars, and sharp eyes. A notebook is handy too, to record your sightings. If you are birding with younger kids who are new to the idea, let them practice spotting the many birds that frequent your neighbourhood feeders and backyards. Have the children identify the birds in the field guide and make a list of the ones they see. If you venture down the road to the water’s edge, (try the Cypress Wetlands where you can view from the boardwalk) you’ll see a plethora of both seabirds and freshwater varieties. The Cypress Wetlands are also home to ibis rookeries. Try going in the early morning or late afternoon when the birds are feeding, for the best views. Along the water you can see dolphins, raptors (eagles and owls), and river otters. On the land side of the boardwalk, you may catch sight of a rabbit or mink, especially if you tiptoe. By summer’s end your field guide will be weathered and your notebook full of the names and descriptions of birds you’ve found. Birding can be quite an adventure for many youngsters – and an experience that may be the start of a lifelong interest. A day of bird watching and walking sure does whet the appetite! Beaufort’s many farmers’ markets have delicious fresh food on offer so take a look. You could get some to take home or eat right there. Many markets have a sit-down barbecue, freshly cooked seafood like crab cakes and shrimp, baked treats, and ice cream. Farmers markets can be found in Beaufort, Bluffton, Port Royal, and the Sea Islands. Almost every small town has its own farmers market, and they are all worth exploring. Buying locally grown food not only supports our farmers, but it also means your family enjoys the healthy benefits of a vast selection of the freshest fruits and vegetables. Close to home, and open Wednesdays from 3 – 7 pm, May through October, the Downtown Beaufort Farmer’s Market (West Street) has something for everyone – locally grown produce like juicy peaches, raspberries, blueberries, and fresh vegetables. Sweet corn, watermelon, and tomatoes are in season. Craft vendors sell a variety of artisanal items like jewelry, soaps, textiles, and sweets. You can also find live entertainment, seafood vendors, homemade bread, cakes, cookies, and cobblers, jarred goods, cheeses, honey, fresh flowers, local restaurant samples, and a host of other goodies. Everything you find at the market is locally grown, harvested, made or caught. Atlantic bottlenose dolphins are fun to watch as they race and leap around in the ocean. Watching from a small boat or a catamaran – which is a double hulled sailboat, or zippy Zodiac – a kind of motorized rubber raft – adds to the excitement and brings you quite close to these wonderful mammals. With any luck you might witness the dolphins “strand fishing,” where they use a team approach to rounding up fish for their meals. The Beaufort waterways are alive with fish, rays, crabs, dolphins and other sea creatures. As the tides recede, or rise, they reveal how complex the marshland ecosystems are. Knowledgeable tour guides teach children (and adults) about the wildlife they see, and about the history and ecology of the area. Some dolphin tours offer fishing experiences tailored to the ages of the passengers on board. There are lots of tours out of Beaufort to choose from, some for as little as $30.00 an hour. This annual mid-summer celebration, now in its 63rd successful year, is one of the South’s biggest outdoor festivals. The ten-day extravaganza hosts over twenty-four events from bocce and badminton contests, to a children’s Toad Fishing Tournament! There will be a Raft Race, a Bed Race, a Ski Show, Shrimp Boat Tour, and even a Talent Show. An Arts and Crafts market is open every day, and there are special events just for kids (Kids Day) and teens (Teen Dance). If you like good food, parades, exhibits, music, dancing, water activities, games, and tournaments, this is the place to be. For information regarding schedules, tickets, and even more events, go to this link. We’ve mentioned only a few of the great things to do this summer in Beaufort and Celadon. You’ll find more on the Eat, Sleep, Play Beaufort website. 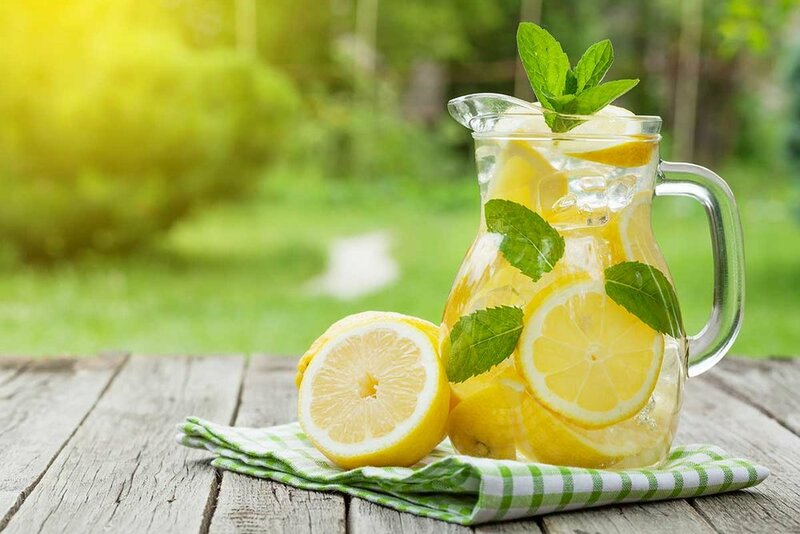 However much fun you and your family have exploring, it will be good to get home to Celadon in the evening and settle on your porch with some iced tea or lemonade. Pass around a bowl of fresh peaches from the market, share the day’s adventures, and revel in the sweetness of a Lowcountry summer.